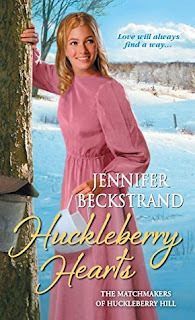 Huckleberry Hearts is the sixth in the Matchmakers of Huckleberry Hill series, but can definitely be read as a stand alone. I haven't read any of the previous books but now I want to! The grandparents Anna and Felty are quirky and charming. They are the only ones in Cassie's family who support her decision to find her own path, even though it's not with the Amish. 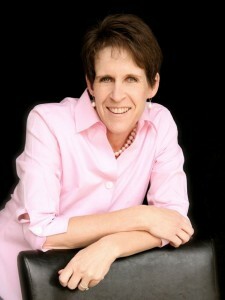 Anna sees something in Zach that makes her select him for her matchmaking scheme, however unlikely the pairing is. I liked how the story line is different from other Amish fiction in that the main characters are not Amish although they have strong ties to the community. There are several strong themes that play out, including self-control, forgiveness and second chances, grief and trusting God, and staying true to one's self. There are many unexpected moments between Zach and Cassie that are pretty wonderful, but also some predictable ones where you can see the conflict coming. An admirable trait in Zach was that he tried his best to defend Cassie from her verbally abusive mother and brother while keeping his temper in check for her sake. I felt the story was well-written and held my attention throughout. I'm looking forward to reading more by the author!